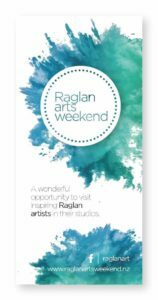 It’s less than three months until the Raglan Arts Weekend! We’re full swing into marketing the much loved event across the North Island, to ensure we get as many art aficionados as possible to our shores. This month we catch up with local painter Megan Hockly, who discusses the relationship between her paintings, life and her surroundings and the importance of keeping a visual diary. My art is figurative, a bit like ‘Where the wild things are’! I definitely paint from my imagination and often it becomes a story about what is happening in my life. Sometimes it’s dark and other times lighter and happier; obviously a reflection on life for me at the time. Where do you find your inspiration and how do you channel that into your work? My inspiration comes from what I am going through in my life, what interests me and what I see around me. I guess it all merges; I have always loved exploring this in my work. Sometimes I look back on a painting which I may have not fully understood at the time but can see the messages and feelings later on. Tell us a bit about your relationship with Art. How did you “get into it”? My relationship with art started early on. I would hound my Mum to buy craft materials to make projects and my Grandmother taught me how to knit. I loved Art at school, coercing my Mum to let me leave Sacred Heart for Hillcrest High, where they offered more Art subjects at senior level. I went to Art School for tertiary study and it has been a path I have taken ever since. I am currently working on finishing paintings! I have just started working again full time as a teacher so I have been focused on that. 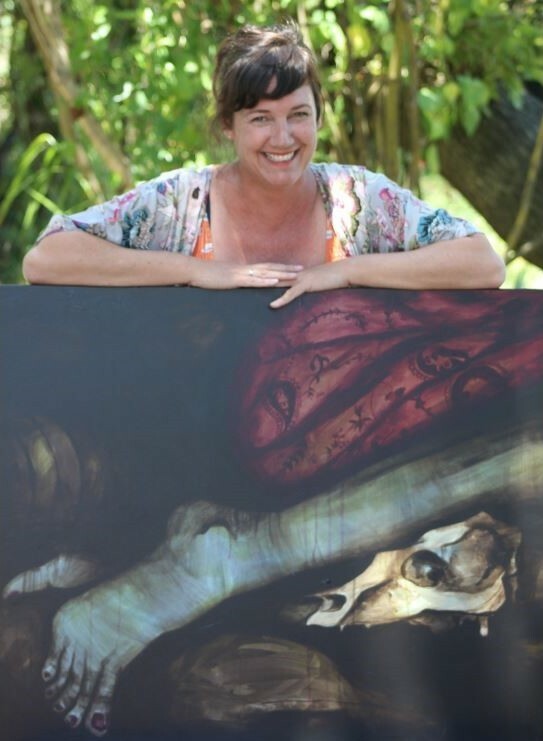 I had a great exhibition at Rock-it Kitchen here in Raglan which lasted 6 months….unheard of! So I am very lucky to still have an outlet for my work. I am excited to be exploring new motifs in my work derived from my interest in psychology. It is mainly how to cope with and live with the darker side of our psyche. Addiction, depression, anxiety… all those feelings and behaviours can take hold and are so hard to let go of. Megan Hockly plays with light and dark in her art. What do you find most valuable about the Raglan Arts Weekend? The highlight for me is meeting and talking to people who love Art and relate to it. The conversations I have and contacts I make are invaluable for me as an artist. 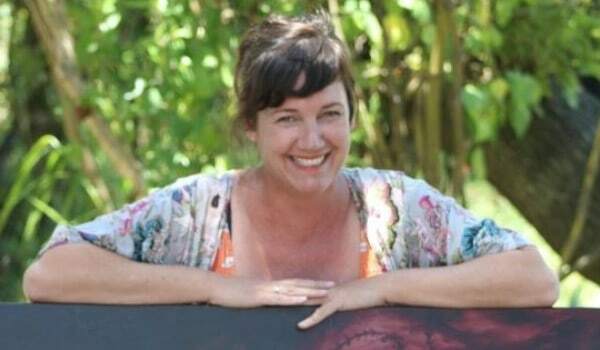 How do you find time to access your creative brain with 3 daughters, a job, plus the school holiday Arts programme? The only way I manage to keep painting is by always carrying a visual diary on me. If there are any of my students reading this, they will laugh because I am such an advocate of this. If you are someone who needs to write or draw to work through thoughts, then making sure you have a small portable diary in which to express your feelings is just gold. I use this when I need to find new material because I always have a few sketches thrown in.